The nature of the internet has changed dramatically over the life of the information superhighway. Until the last decade, the internet was almost always associated with a desktop computer. Now, the internet is on laptops, smartphones and tablets. 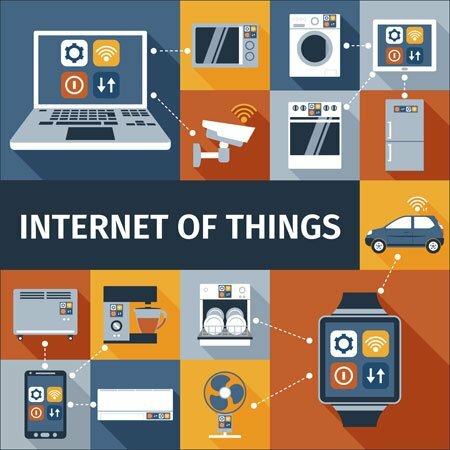 Research suggests that in the near future, there will be a dramatic explosion in the market for the Internet of Things as connectivity comes to watches, homes, cars and more. The Internet of Things market is predicted to triple from 2014’s $655.8 billion to $1.7 trillion by 2020, according to media reports of the IDC’s ‘The Worldwide Internet of Things Forecast 2015-2020’. That represents a market expansion of 16.9 percent annual growth rate for the next five years. To explain the concept simply, the Internet of Things is a concept used to describe the development of the Internet in which everyday objects have network connectivity, allowing them to send and receive data. Key examples are things like smart watches or smart home appliances. According to the researchers, the majority of this market will come from our ever-increasing need for devices, connectivity and IT services. The IDC report noted that these three categories will account for about two-thirds of the worldwide market for the Internet of Things in 2020. Devices, such as modules and sensors, will make up the largest portion of this market with a 31.8 percent predicted market share. The predicted growth in the Internet of Things provides unique opportunities for business owners and marketers. As the number of internet connected devices increase, so do the number of ways that marketers can reach consumers. An internet-connected refrigerator can connect to the user’s shopping app and provide a coupon for needed items. As connected car drivers use more streaming online radio, marketers can serve ads on these platforms to catch those who would be missed by traditional marketing tactics. For business owners, the burgeoning market for the Internet of Things creates opportunities to create or sell new products. Things like internet-connected shoes may have seemed like a silly idea a decade or two ago, but within 10 years, a lot of people will have them. Getting ahead of the curve in these aspects can help retailers stay relevant as markets change and snag a few customers from competitors who are slow to adapt. Content creators should also be on the lookout for ways to get their materials on these new devices. For example, being able to reach people like Apple Watch users before the big publishers devote resources to content on new devices gives content creators access to early adopters who will be looking for content to consume on their new toy. For more information of the Internet of Things, read this article on how the internet is changing the way music lovers access their favorite tunes.